Hi everyone! Today I’m excited to show you the new Picture Polish release shades launching on Monday May 26th at 12:00 pm Australian EST (check the countdown link at the bottom of my post for release time of your location)! There are 5 shades in total consisting of 2 AMAZING glitter toppers by Picture Polish: ‘Color Storm’ and ‘Storm’; 2 new Blogger Collaboration shades and 1 returning collaboration shade. Let’s hop right to the photos! Color Storm is hands down my favorite of the collection! It’s an awesome kaleidoscope like glitter topper with a clear base and an easy application to boot! Just look at the glitter-tastic happiness! The Picture Polish girls are right, it’s definitely as the tagline says—a kaleidoscope of rainbow drops! 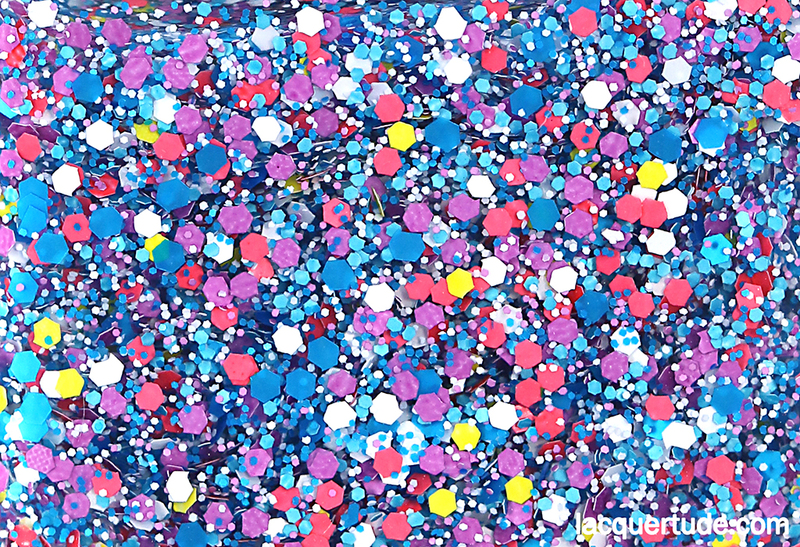 I can see purple, hot pink, yellow, royal blue and sky blue glitters in micro and regular sizes. On top of that, I think what really makes this glitter combo unique amongst the millions of other glitter polishes out there is that amongst the rainbow colors, there are also some white glitters dancing through, like the little clouds that so beautifully yet shyly decorates a rainbow filled sky. I’m sporting one generous coat of glitter topper layered on Picture Polish Black. I just want to take a moment to rave about the formula here. For a bottle of polish that’s jam packed with glitter, Color Storm is surprising smooth, easy to apply, requiring no glitter pickup, and finishes to an easy bubble free texture. You ladies and gents out there who love glitters know that this isn’t always the case with glitter bombs. Sometimes they can be gloopy and bubble prone. So, KOODOS to Picture Polish for creating such amazing and fun glitters while still maintain the consistently spectacular formula that they’re becoming known for. Look at the glitters!!!! I won’t lie, I’m dying a little, and if I didn’t have other polishes to swatch and nail art planned, I’d wear this all day EVERYDAY! 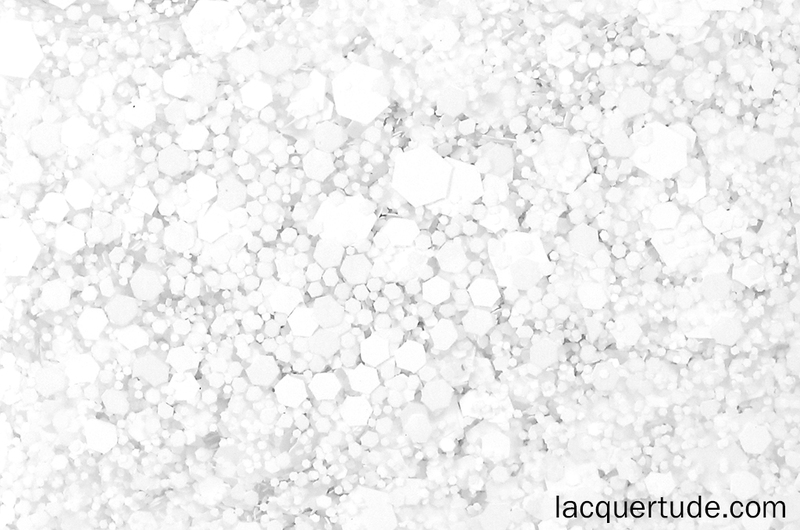 Storm is another glitter bomb and looks just like a white out storm! I got creative and layered 1 coat over Picture Polish Darcy, a holographic black that is very chic and very classy. The idea was to have just a subtle sparkle in the black to provide the background for Storm, creating the image of a stormy night! Both glitter topper are covered with just a thin layer of Glossy Glam top coat and the finish is smooth to the touch! 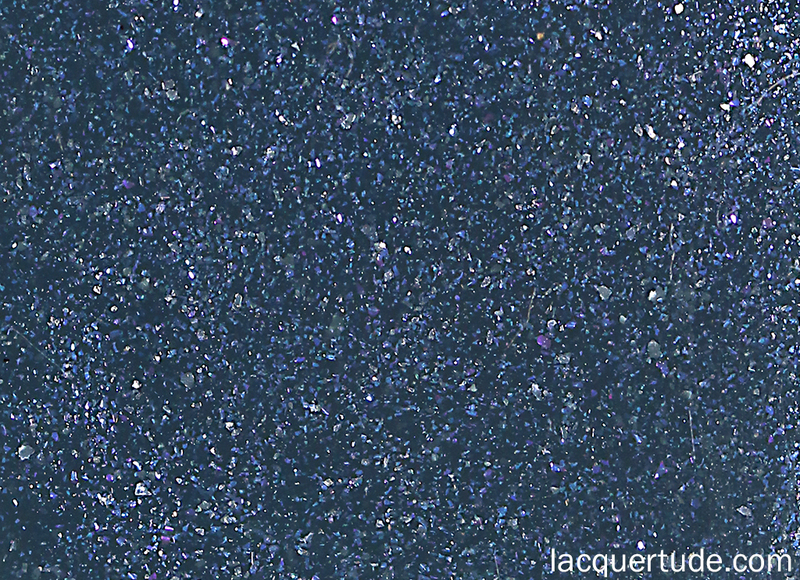 Blue Dog is a dark and smoky greyish blue filled with glass flecks that reflect teal, blue and purple, and white shimmer that echo the “stormy” theme of the glitters above so well. 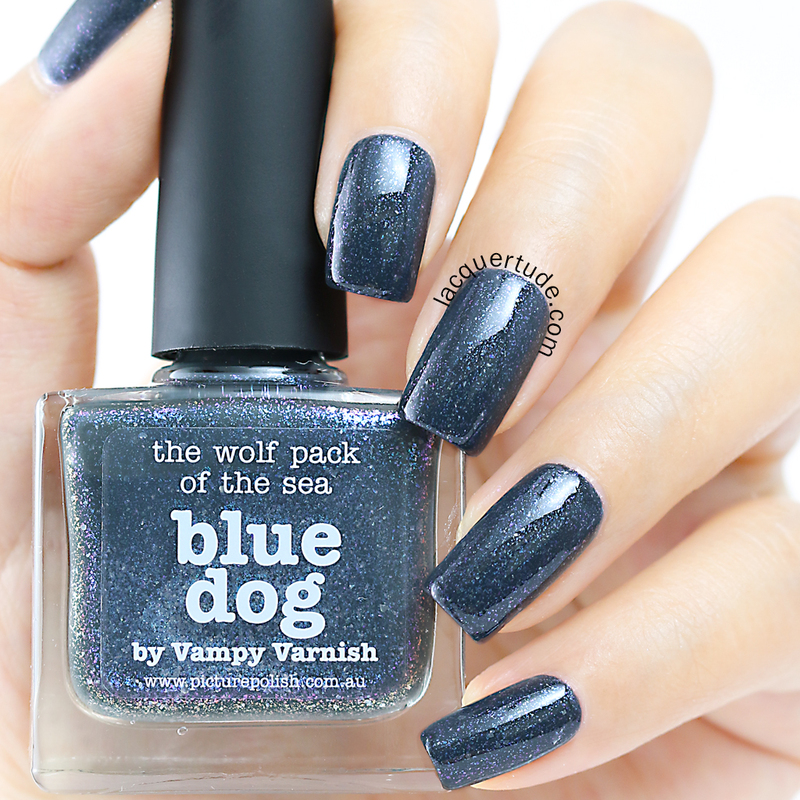 Now this shade is quite special as it’s created in collaboration with Kelly from Vampy Varnish, one of the first beauty/nail blogs I started reading way back when! She’s one of early beauty and nail bloggers and a veteran with 6 years of blogging experience. Not only are her nail and makeup pictures some of the most color accurate I’ve seen, she’s also always honest in her reviews and an active animal rights spokes person. 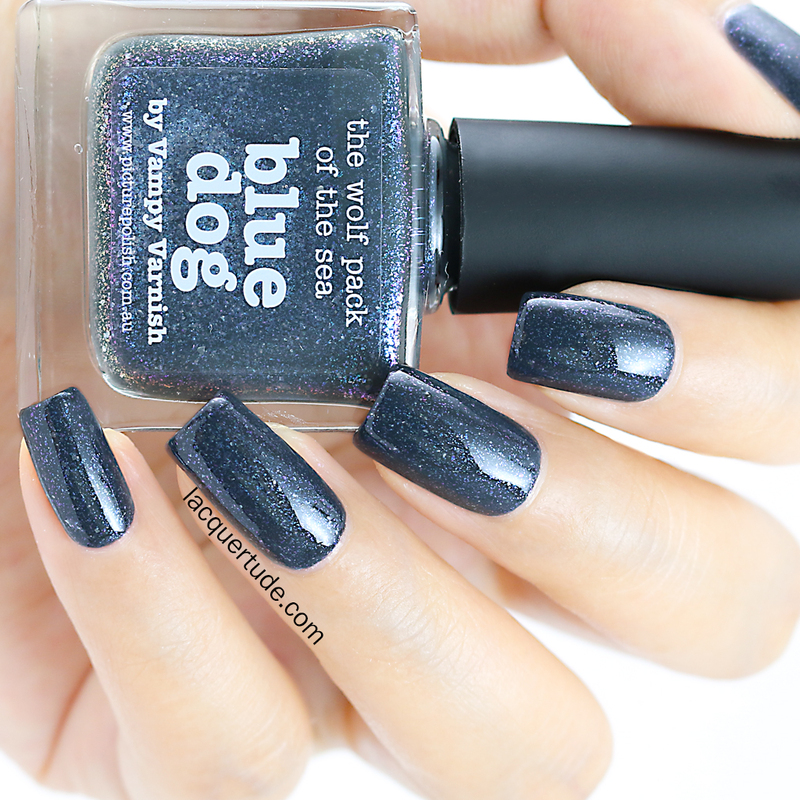 The inspiration behind this beautiful and edgy polish is sharks, and Kelly’s way of sharing with the world that we need to protect sharks from being over fished. So, those of you who purchase this shade will be happy to know that Kelly is donating 10% of what she makes from each bottle to the Monterey Bay Aquarium Sharks & Rays Research program in California! What a wonderful way to support a great cause while sporting this fabulous polish! I truly look up to Kelly and continue to learn from her. Be sure to check out her post and see all her amazing photos and more of the inspiration story! Formula was great as usual with an easy flow and full coverage in 2 thin coats. In the macro shot of the color swatch, you can see the depth of this shade created by all the amazing flecks and shimmer! Wow, it’s a stunning beauty! Eerie is created in collaboration with Emily from Very Emily blog. It’s so wonderful for me to swatch her shade because I think it absolutely represents her elegant, often understated, yet always beautiful style. I also look up to her skills as a professional photographer. Although I still have so much more to learn, I hope to one day become as comfortable with photography as she exhibits in her gorgeous and effortless photos. Check out her photos and story here. Again, a perfectly smooth 2 coat formula that applied like a breeze. 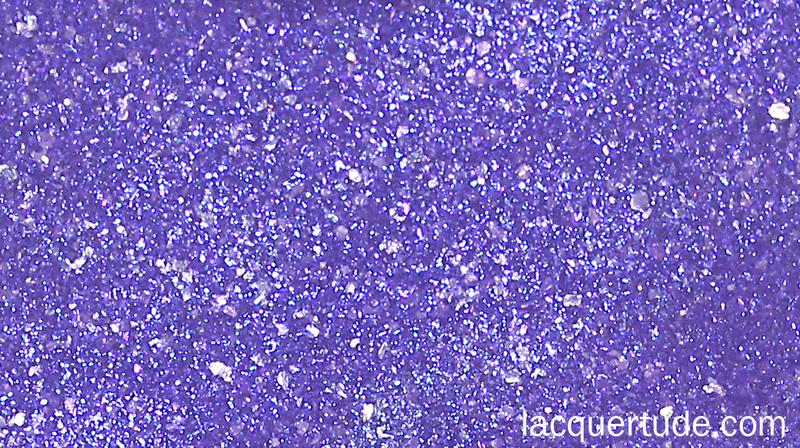 Don’t be fooled by the nail photos, in this macro color swatch, you can see all the iridescent flecks and holo particles. 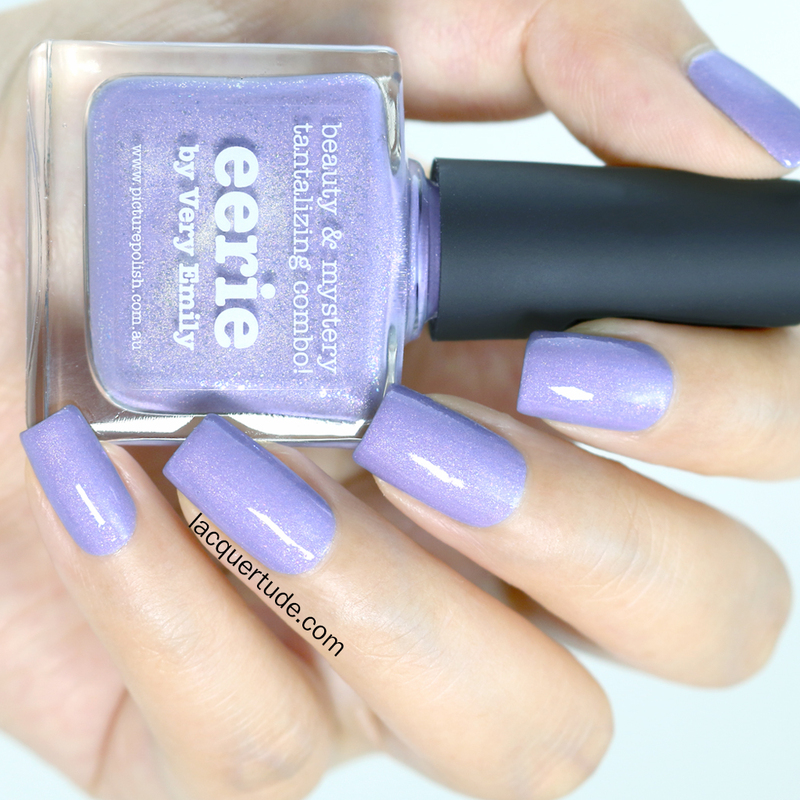 Amethyst is a return collaboration shade with Dream Wonders Blog. It’s the purple version of Picture Polish Denim. 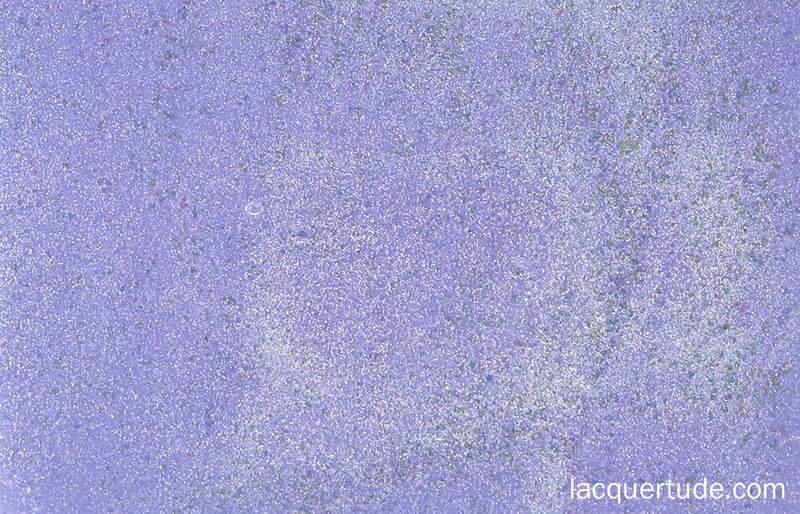 It has a beautiful purple base filled with the same reflective particles as found in Denim. It has a really pretty blue shimmer that blend perfectly with the holo particles. Formula was…you guessed it! An easy, breezy and smooth flowing coverage in 2 coats! There you have all 5 new Picture Polish shades, launching Monday May 26th at 12:00 pm Australian EST on the Picture Polish website! For many of us on this side of the world, it’ll be sometime on Sundy, May 25th, so be sure to check the handy count down link I created for you to see how much time you have from your location! International ladies should check out the Picture Polish Network stockists for their launch time/date. These are all so amazing Kate! I seriously can’t wait for Llarowe to get Color Storm and Blue Dog!